Everyone loves parathas, and the way the family relishes it you wish you could make it more often. However, the truth is that parathas take a while to make – you need to prepare the dough and the fillings, roll and cook each paratha, which usually takes considerably more time than a simple roti or phulka because it is thick. Frozen parathas offer a way out. What we suggest is that you stock up on half-cooked (not wholly cooked) parathas, which can be cooked and served whenever needed, without much fuss. If stored in an airtight container in the freezer, these parathas last for at least two months. 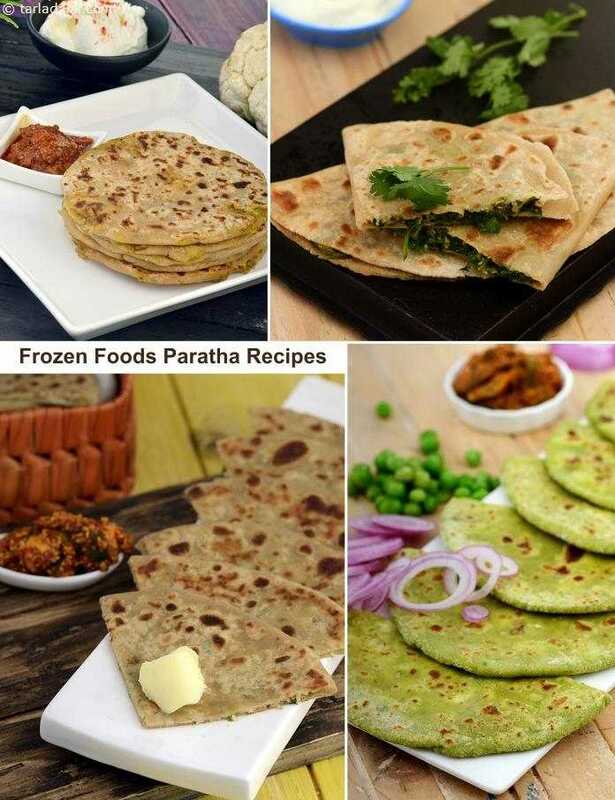 The most common of parathas that can be enjoyed with any subzi is this plain paratha and the most popular stuffed parathas that everybody loves is the Aloo Paratha but there are also many more interesting options that can stowed into the freezer, and you will find ample options on our website. Sweet variation of appas (rice bread) using Suva bhaji. Knead the dough when hot otherwise it will harden on keeping. Not so very popular with many of you, Suva bhaji is sweet to taste and is a rich source of vitamin A. Potatoes make these rotis very soft. A crispy paratha, with many, many layers which gives it the name "lachha"